Hungry travel lovers can’t help but indulge their appetites in their wanderings. Here are five hotels that have turned that adulation into—what else?—a trip to the kitchen. Travaasa Hana: Modern Hawaiian cuisine is a fusion of many diverse ethnic flavors brought to the islands by immigrants throughout the region’s rich history. The island is paradise for gourmets, with abundant fruits and vegetables grown from rich volcanic soil, a wide variety of high quality, fresh fish and locally sourced cattle. At Hana, guests will learn about Hawaii’s many food staples and try their hand at some of the island’s most revered local dishes. 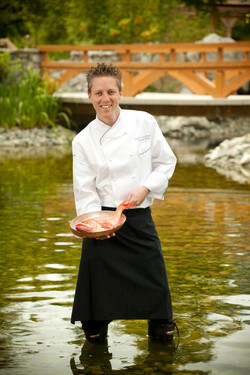 Four Seasons Resort Whistler: “Fishing in the Mountains” Experience - Fish with one of the resort’s expert chefs in the local freshwater lake. The chefs at Sidecut (Four Seasons Whistler’s signature restaurant) will then demonstrate how to properly prepare the fish with a custom designed dinner with locally sourced ingredients. Travaasa Austin: As part of the Hands-On Cooking series at this modern, experiential resort, summer BBQ classes are now available. Guests learn how to create 4 different appetizers that incorporate roasting, grilling, blending and saucing like a true Texan. Four Seasons Resort Vail: “Mercedes & Mushrooms” Foraging Excursions - Take one of the resort’s own Mercedes-Benz SUVs up the mountain to forage mushrooms and enjoy a gourmet dinner with the Resort’s Executive Chef. These special excursions are guided by an expert mushroom forager where guests will learn about the types of mushrooms to look for, how to hunt for them, how to pick, clean & prepare them, etc. Following “the hunt”, guests will then enjoy white wine chilled in a nearby creek, followed by a gourmet picnic lunch. To top off the experience, the group reconvenes in the kitchen of Flame, the Resort’s signature restaurant, where the Executive Chef will lead a culinary demonstration incorporating the freshly-picked mushrooms. Finally, guests will enjoy a delicious three-course dinner, with one or more of the courses featuring the mushrooms that they picked on the excursion. 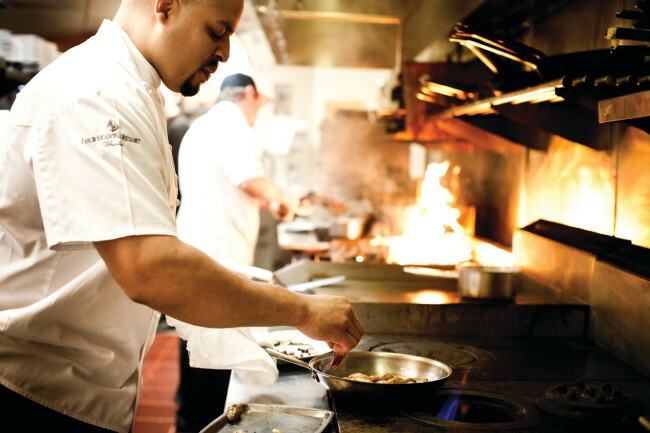 Park Hyatt Beaver Creek Resort and Spa the culinary team from 8100 Mountainside Bar & Grill offers weekly, complimentary, teen-focused cooking classes. Class themes will include: basic knife skills, gourmet pizza making, sushi rolling, cold weather “mocktails,” and how to make barista style coffees at home.